Located 15 minutes from the beautiful and popular Foster and Yarram!! 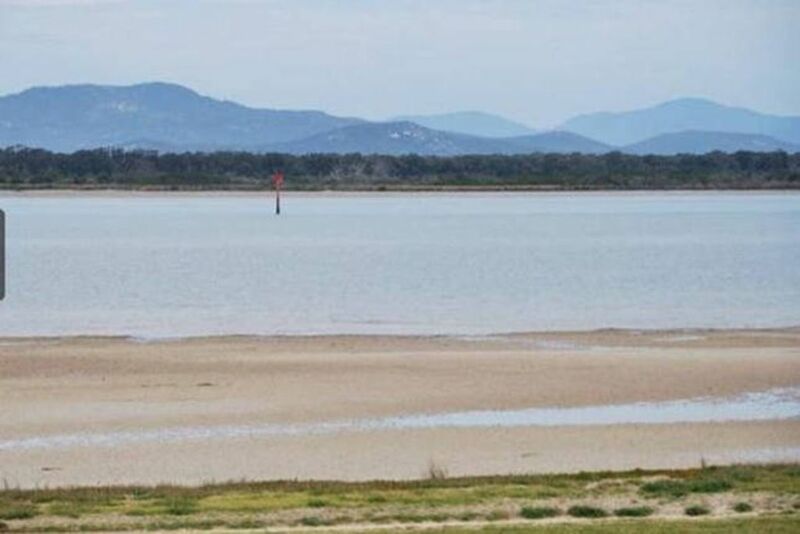 Beach Haven is situated absolutely on the foreshore and offers unobstructed views of Wilson’s Prom and Corner Inlet. The safe beach is ideal for families with kids and for couples for quiet walks. One step of out the front door and you are on the beach. With two living areas ideal for giving kids their own separate space. Beach Haven overlooks the Historic Long Jetty. The house can accommodate up to 11 people in complete comfort and privacy and is suited for small groups and families. With absolute foreshore frontage, spectacular ocean views, good fishing, only 2.5 hours easy driving from Melbourne, these accommodation facilities are the ultimate remote getaway. Fully equipped kitchen with: Stove, cooktop, microwave, kettle, toaster, crockery/cutlery, fridge, freezer, tea & coffee facilities. Comfortable and spacious living area with: Television, DVD, video, CD player. 3 x Bathrooms. Shower, bath, spa, toilet, basin, vanity. Split system air-conditioning and ceiling fans. Pets must be kept outside at all times. The location is perfect for kayakers wishing to explore the Corner Inlet, have a day picnic to Little Snake Island or a more adventurous paddle to Wilson's Prom. 40 minutes drive to the majestic Tarra Bulga National Park. 50 minutes drive to Wilson's Prom gate. 10 minutes drive to Agnes Falls. Two night minimum applies at all times. AGREEING TO TERMS AND CONDITIONS – By confirming a booking and paying a deposit, you are agreeing to our Terms and Condition and you authorise us to charge your credit card for any additional charges or damage caused. This includes smoking inside the premises, extra guests, day visitors, theft, damage, early and or late departure, excessive cleaning, wine, etc. Please be sure to read the Terms and Conditions as additional fees may apply. If you pay by direct deposit or cash we also need you to supply credit card details upon booking. ONE NIGHT BOOKINGS – Single night bookings may be considered (10% – 30% surcharge applies). Generally a two night minimum applies. CANCELLATIONS – Cancellations that are made prior to two weeks of your arrival date means a 50% refund of your deposit. Any cancellation within two weeks of your arrival means no refund. No show, during any season, means no refund. On a rare occasion (due to circumstances beyond our control) we may need to cancel a booking. In this was to occur, we will refund 100% of the booking fee and assist you to find alternative local accommodation if possible. EARLY ARRIVAL/LATE DEPARTURES – This must be agreed upon and a surcharge applies depending on the length of time. A $25 per hour fee applies. This is not possible during high season. UNACCOUNTED FOR ADDITIONAL GUESTS – If more guests than agreed upon arrive an additional payment per guest + 50% surcharge applies. We reserve the right to check the number of guests. We also reserve the right to require additional guests to leave the property. 1.1 These terms apply when the owner of a property (the "owner"), or the owner’s authorised manager or agent, offers to rent the property ("Beach Haven") to a renter (the "renter"). Under this Agreement, the renter agrees to rent Beach Haven from the owner and the owner agrees to rent Beach Haven to the renter on the terms of this agreement (the "Agreement"). 2.1 A booking is made when a renter contacts the owner of Beach Haven, the owner and renter agree to rent Beach Haven for the term for a price (the "rental"), and the renter pays a deposit. Confirmation of a booking will be provided to the renter once the deposit has been received by the owner. 2.2 At the time of booking the owner may set out terms and conditions in addition to those in this Agreement ("additional terms") which may include, without limitation, terms relating to pets, tents, the number of people permitted to occupy Beach Haven, and additional fees or costs which apply to the booking. The renter agrees to comply with the additional terms, including any terms set out in the site listing for Beach Haven, as if they were set out in this Agreement. 2.3 Subject to the cancellation provisions of this Agreement, once a booking is confirmed in writing by the owner the renter is liable for the balance of the rental together with any extra costs or fees set out in the additional terms. c. such other amount that the owner determines and advises the renter in writing. 2.5 A deposit, if less than the full amount of the rental, is in part payment of the full amount of rental that is due for renting Beach Haven for the duration of stay. 2.6 The balance of the rental, if any, is payable by the renter not less than 14 days prior to the commencement of the rental or prior to the renter obtaining the keys for Beach Haven. 2.8 Any cancellation or amendment must be in writing. 2.9 The owner may refuse to amend a booking once it has been confirmed in writing and any amendment or transfer of deposit to another booking will be at the sole discretion of the owner. 2.10 The owner may cancel a booking by notice in writing if the renter fails to make any payment due under this Agreement when that payment is due. 2.11 If a renter cancels this Agreement more than 14 days prior to the commencement of the term 50% of the deposit shall be forfeited by the renter. The balance of the rental will not be payable. 2.12 If the renter cancels this Agreement fewer than 14 days prior to the commencement of the term the deposit shall be forfeited by the renter. The balance of the rental will not be payable. 2.13 If the owner cancels this Agreement at any time prior to the commencement of the term the owner will refund the renter any money paid prior to cancellation. 2.14 Any Cancellations, adjustments to bookings or early departures made after arrival will not be entitled to any refund. 3.1 The renter is responsible to the owner for all breakage, damage and destruction to any property, direct and indirect costs, fines incurred, charges from third parties arising, and damage caused to Beach Haven (including any contents) during the term. The renter agrees to indemnify the owner against any losses or damages suffered by the owner as a consequence of the renter’s breach of its obligations under clause 3.1 and to immediately, on demand, reimburse the owner for all such costs. 3.2 If the term is more than 7 days the owner may request a bond of $500.00 from the renter, to be held by the owner on trust until the end of the term. If a bond is held by the owner it shall not limit any liability of the renter under paragraph 3.1 above. 4.1 Usage - the premises are let for holiday purposes ONLY and only for the period stated on this form. NO weddings, parties, or large gatherings are allowed. The number of people occupying the premises must not exceed the number of people that were initially booked and/or had beds provided for. OVERCROWDING OF PROPERTIES WILL NOT BE TOLERATED..
4.2 The renter must not permit smoking on the premises at Beach Haven. 4.3 The owner may enter Beach Haven at any time to inspect the property provided the owner gives the renter not less than 2 hours’ notice. Such notice shall be provided by phone or in writing. 4.4 Beach Haven will be available for occupation from 2.00 p.m. on the day of arrival and must be vacated by 10.00 a.m. on the day of departure. The arrival and departure times may be varied by agreement between the owner and the renter in writing. 4.5 The owner accepts no responsibility for any loss, or damage, to any of the renter's personal belongings at Beach Haven. 4.6 The guest shall not create or permit any noise or nuisance, which is likely to interfere with the peaceful enjoyment of any other person occupying adjoining premises. Legislated noise pollution controls shall prevail. 4.7 All rebookings must be arranged during the week and definitely NOT possible on day of check out. 4.8 GARBAGE: Please wrap all garbage and place in the bin supplied. South Gippsland Shire Council contractors collect in the early morning so please read (Notice to Occupants) upon arrival to know when garbage is collected. Fish must not be cleaned on premises. The guest will be charged $10.00 per bag/box for any excess garbage not removed from the premises. If the whole sulo bin needs disposing of then this will be an additional $30.00. 4.9 RE-TUNING OF TV/VCR’s: The attachment of electronic games and devices to the television/video system is not permitted. If retuning is necessary after such use, the guest will be required to pay any costs incurred. We had a lovely holiday here, the house was clean and had everything we needed. A great spot for the kids to go fishing. This house is real 'Home Away Home'. I would like to return with family again and again just for relaxing. When we went during the last long weekend, the near by Wilson prom is closed due to bush fires so we spent lot of time with indoor holiday/ relaxing. The owner is very friendly. We liked every aspect of our stay 10/10. The house has amazing views. Really relaxing and comfortable. A home away from home. The owner has ensured the house has many items and furniture which are comfy and the house has different zones to have down time. Definitely want to come back. We had a good time in property. The property has a lot of character . Photos don't really depict the actual experience staying at the property. Kids enjoyed the attic rooms whilst adults enjoyed the view and the living area. lot of space and comfortable!